"For beginners, this is a great way to immerse yourself in the various practices of mindfulness as well as learn some of the science and history behind it. And if you are lucky, like we were, you become part of a sangha that is very special." In partnership with the Scottsdale Institute for Health and Medicine. 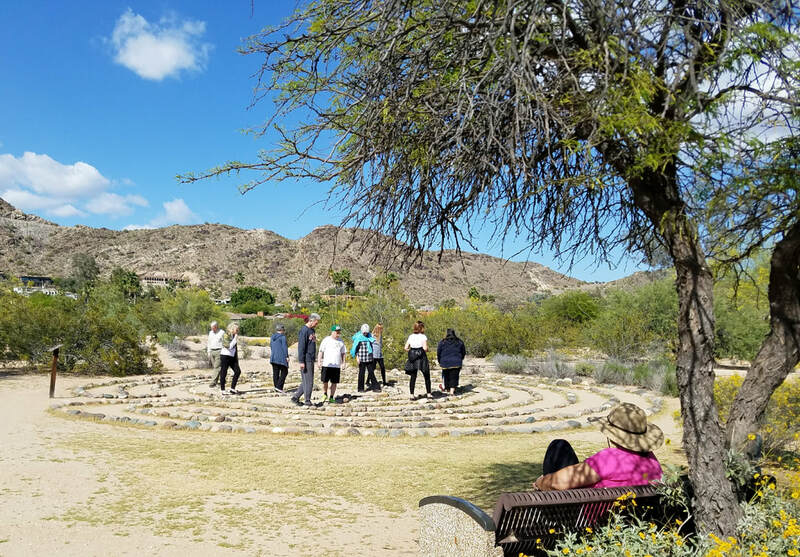 Join us at the beautiful Franciscan Renewal Center in Scottsdale, Arizona for a rejuvenating weekend retreat based on the Mindfulness Based Stress Reduction Program, created by Jon Kabat-Zinn. This 3-day, 2-night retreat is an ideal way to renew your spirit and mind through the many practices of mindfulness, while enjoying the warm sunshine and serene beauty of the Southwest. We will experience various meditation practices, stretch our bodies with mindful movement and connect with each other, all while providing an open spaciousness to explore whatever arises. This is not a silent retreat, but rather we intend to use our time together to connect, learn and cultivate a sense of lightheartedness and ease in our practice and our lives. This retreat is appropriate for all levels of practitioners, those new to the mindfulness as well as those who wish to renew and deepen their connection to the practice. Been practicing awhile? Renew your knowledge and reenergize your practice. Been practicing for a long time? Bring your beginner's mind and allow yourself to rediscover the practice all over again. The Franciscan Renewal Center offers beautifully appointed guest rooms designed without phones or TVs in order to maximize time for quiet, peaceful reflection and renewal. Walk the labyrinth, enjoy the Healing Garden, take a dip in the pool- nourish your body and spirit with this weekend getaway. All meeting spaces and accommodations are air-conditioned, linens and towels are provided and the made-from-scratch meals are healthy and delicious. Lunch is served before departure. *You may arrive earlier on Friday to explore the grounds, however your room may not be ready and formal check in will begin at 4:00pm. 75% of registration fee refunded if cancelled on or before January 1, 2019. 50% if cancelled on or before January 15, 2019. After January 15, no refunds will be given for cancellations or no-shows. Paul is the Founder and Director of the Center for Mindfulness at the Scottsdale Institute for Health and Medicine. He has been practicing and teaching mindfulness for over 40 years, is a certified MBSR teacher completing advanced training at U. Mass Medical School and certification at UCSD Center for Mindfulness where he mentors certification candidates. Christy is the Founder of the Institute for Mindful Works. As one of the founders and the current Director of the UC San Diego Center for Mindfulness WorkLife Integration Programs, Christy has been deeply involved in the effort to bring mindfulness to workplaces of all kinds. She is also a Qualified MBSR teacher, through the UCSD Mindfulness Based Professional Training Institute, and teaches MBSR and Mindful Self Compassion for the Center.